As a busy mom, I find the first thing I neglect is myself when it comes to prioritizing my time. Well, Muslim moms should consider that spending a little extra time to look nice does make a difference for our husbands! I knew I was getting bad when my Hubster would emphatically say how nice I looked if I put on a little Vaseline on my lips! I thought to myself it was time to put some effort in looking nice for both of us even with a full time job and a baby. The good news is that looking a little nicer doesn’t have to take a lot of time either. Thanks to Tarte’s Carried Away makeup palette, I have everything I need to look a little more polished. It has 24 full eyeshadows, 8 mini lipglosses, an Amazonian clay blush, a brush, finishing powder, and mascara. The colors are all a nice neutral palette. I tried them all out and found that you can do an array of looks. From sparkly pastels to smoky eye looks, this palette can help you get the right look you want. I especially love how pigmented the colors are since as a woman of color, some lighter colors can fade out on my skin. I love the finishing powder! It gives your skin a nice airbrushed look. Even if I have nothing else on, I still look well rested and glowy. For $54.00, you are getting a whopping $512.00 value! I can tell you how I love a good bargain but this blew my mind away. You really do have a lot of high quality makeup for a great price. 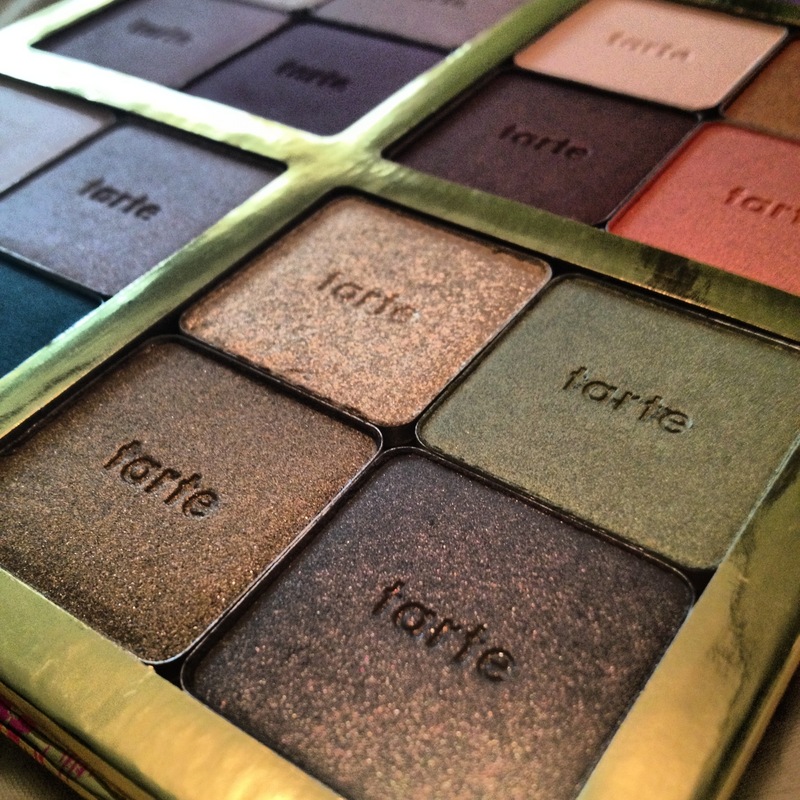 The best part about Tarte cosmetics is that they are paraben and petrochemical free. They are also a cruelty free makeup line which means they don’t test on animals. I think this palette may be sold out, but keep your eyes peeled for more Tarte deals soon!